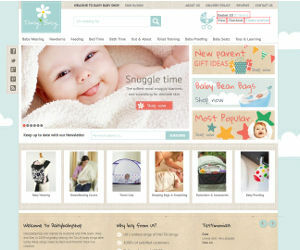 Treat your baby by diving into the huge product catalogue available at Daisy Baby. From baby slings to baby seats, Daisy Baby has everything covered. With competitive prices and our discount advice, you can really find hidden bargains whilst shopping with Daisy Baby. Keep an eye on the latest voucher codes to save the most on your order.